The little village of Hartsop lies across the water with the slopes of Angletarn Pikes to the left. On the right are the lower slopes of Hartsop Dodd with Gray Crag behind and The Knott in the background. 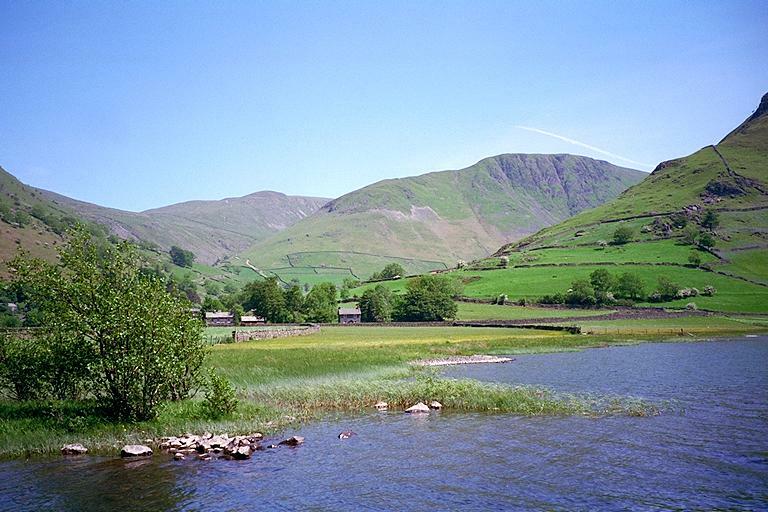 The location for this picture comes at the end of the Deepdale Round and shows the start and finish of the Kidsty Pike to Caudale Moor walk. Smaller version of this picture.